Rouhani said that the US exit from the nuclear agreement with Iran warrants an "important and serious discussion between our two countries." 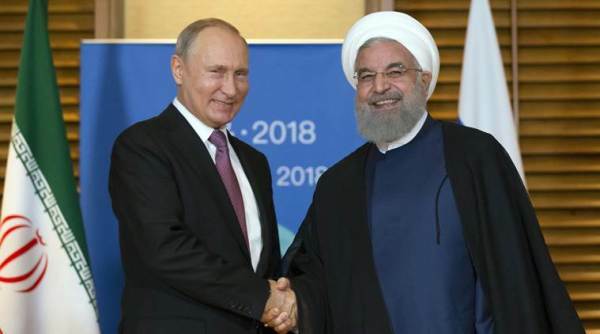 Qingdao: Iranian President Hassan Rouhani says he would like to discuss the situation following the US withdrawal from the Iranian deal with Russian President Vladimir Putin. Speaking at the start of his today’s meeting with Putin on the sidelines of the Shanghai Cooperation Organisation in Qingdao, China, Rouhani hailed close ties between Russia and Iran. Iran has an observer status in the SCO, and Putin said that Moscow would support the full-fledged Iranian membership. Russia and Iran have staunchly backed Syrian President Bashar Assad, helping turn the tide of war in his favour.